Running has never been just about the fitness aspect of it. If you go and ask a fan, nine out of ten will definitely tell you that over the course of time it gets addictive. Gradually, sure, but it gets the grip on you. And while you come to realize that you’ve been hooked, you will also begin to notice that sometimes just running as it is won’t suffice. You will begin with races, take the 5k challenge, up the bar a little bit and maybe compete at marathons. But it still holds the linear aspect of it, and quite frankly your hunger and addiction would dare you for more, thus pushing you to explore. From here on now, the road gets somewhat unfamiliar, albeit very interesting. Once the setting has been changed, and the thrill of everything that comes with cross terrain is apparent, the direction of movement becomes more straightforward for the average runner, mostly in the sense of trying to up the bar for the second time. One of the choices is, ladies and gentlemen, runners and thrill seekers, running downhill. You imagining the picture, I’m already sensing that you are getting off the course. Let me introduce you again, shall I? You see, downhill running is quite more than what adrenaline junkies commonly care about. You and I would both reckon that the thrill part is where it all starts and finishes, and I grant you that, but the truth of the matter is that there is also some elusive feeling, dare I say it passion, when approaching downhill running methodically and for the most part as you would with regular distance runs. Running downhill is not just some pipe through which you, as well as I, decide to lose steam; at least not if you want to stay out of injuries, or worse. It requires from you to up your game, and develop a downhill running technique and methodically prepare for your downhill run – but more on that another time. Running downhill gives you way more, in fact. You see, if our personalities resemble, then you may enjoy nature as well as I do. And here I rest my case – running downhill, you are getting the chance of experiencing what only mountain bikers can in fact experience so far. And it gets even better. You see, you don’t need the equipment to enjoy nature; you simply use your body. Covering vast terrain over a short period of time, it was something available only for mountain bikers. Up until now. And this is different from cross country, at a number of levels. Cross country can bring you only so far when wanting to experience both nature and thrill at once. Even your focus is drastically different. 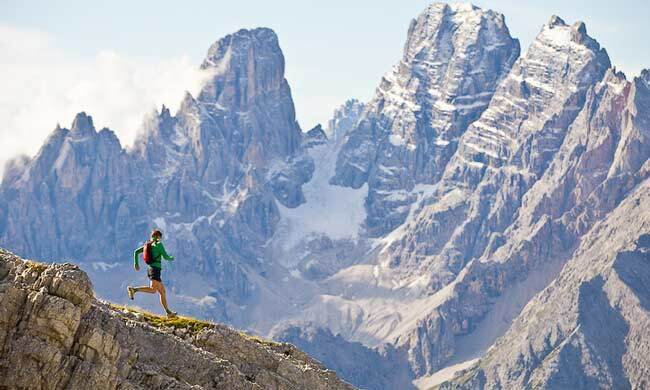 What downhill running does is narrowing your focus even more, so you won’t get hurt. And this in turn can be translated into a better chance of savoring the moment, creating an action that creates the flow by itself. (more on that here). You were wondering about this haven’t you? Running downhill give the quads a stress that cannot be match by far. I know, I did the Insanity workout and it’s a killer for the quads, or the new P90 workout from Tony Horton. Still, unmatched. You see, the constant stress you put the quads through in the way of trying to land carefully, as well as constantly braking as to not stumble and fall, make them work like crazy. The nature of the terrain also makes your whole body geometry to try and adapt, so additional stress falls onto your core and oblique abs. You will feel them like never before right after your first downhill run, that’s a promise. The cardio aspect of the downhill run is enormous as well, having in mind the originating cardio stress from the running spiced up with constantly braking the speed and twisting your torso. It’s a handful you see. The only worry however should fall on to the knees which, without precedent, always suffer the blow should you not maintain the proper downhill running form and try and practice somewhat of a downhill running technique. The knees you see don’t stand a chance against weak leg muscles in combination with poor technique and foot placement. The terrain can sometimes also spice things up a bit since it provides situations where immediate braking is required. If you feel knee pain during running downhill, stop immediately because it only gets worse. Incorporate some other types of training, and then try again. Running downhill is always challenging even if repeating the same distances over and over. The diversity comes mainly from the fact that the terrain changes itself due to climate changes. Steep tracks have a lot more going on in this sense. However, the diversity also originates from seasons changing, and you will feel great differences in terrain as well as changes in scenery, which by the way are stunning and often breathtaking. The downhill run, regardless its length always gives you more in the sense of enjoyment when compared to your usual distance run. While the other is meditative in the sense of solitude and repetitiveness, this one does the same but through interacting with the nature and adapting to the terrain. Downhill running requires a lot of focus, so your worries drift away in a second and you are one hundred percent in. The setting requires abandoning the city for a while; hence it gets tougher to run on daily basis. Logistics problem, downhill runners would say. However, this only gives accent to the uniqueness and you enjoy your run even more. Driving your car to a spot you discovered, preparing to start the run… There is nothing of the like. It’s also double fun when you have a friend with you. Trying to shout advice regarding the next turn, sensing the fun of it; it’s quality leisure time to say the least. Downhill running requires a set of skills which, when perfected, allow you to enjoy your run while maintaining proper form and staying out of injuries. There are couple of basic things to mention, though the list is way bigger if you are serious about it. Never dive into this activity without previously having run for a while. Even the average runner faces tough time, yet alone a rookie. The thing is however, that running won’t suffice. 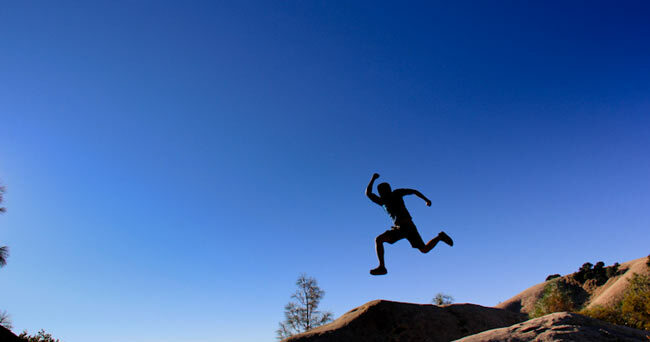 You will also need to incorporate some basic strength training before you go for the downhill run. And since we already know the main points of impact, the exercise sheet writes itself. Your quads will require the most of the training, and squats are the best option here. Try with four sets of 20, one minute rest in between. After this, just progress as you fell appropriate. As for the calves, you can do step ups, like 40 of them, and once you progress with the squads you can put the step ups in between. That should suffice when leg workout is concerned. Abs wise, you will need to focus on your lower ones, as well as your obliques. Besides cycling abs (which target your whole abdominal area) you will also benefit out of planks. Plank is a type of exercise where you hold your body into a push up position (the high plank), or put your weight on the forearms (low plank). These types of exercises will definitely work wonders for your core and all the abs muscles. You can also slightly lift one leg as to give additional stress to the quads as well. Look for shoes that are elevated enough to protect your ankle from absorbing all the stress but at the same time allow movement in the joints. Also spend couple of bucks more and get yourself a nice pair of shoes, thus escaping the possibility of injuring yourself due to equipment malfunction. The constant braking during the downhill run affects the feet in the sense of putting additional stress onto the skin which if not properly cared for will start to peel in no time. If you go for more extreme terrain and faster time, get yourself a helmet and protection for your knees and elbows as well. It’s better to run downhill with someone as opposed to running alone. This minimizes your chance of injury as well as makes sure that if something does happen, you are not alone. You wouldn’t know the paranoia I experienced the first time running downhill all by myself. I wasn’t enjoying my run, that’s for sure. A proper running downhill technique would include constantly twisting your torso and landing softly as well as placing your feat just behind the hip before elevating it. Other than that injuries are a given. Try walking first, and accelerate from time to time as to gain control and momentum. Though restrain yourself from running way to fast when the terrain allows it. As you progress your ego will start writing checks that your body still cannot cash. This is quite okay with many sports, but here it’s tightly connected with the less bright aspect of it. Running downhill, thus, is great for training yourself mentally as well as physically. These hints should do the trick to get you up on a good start. From there it’s up to you. You will enjoy learning things by yourself, and I hope not that much through trial and error. But alas, every sport has its downside. Schedule your downhill runs quite separated from one another at the very start, and then do more of them as you progress. My advice would be enjoying them on the weekends, or if the surrounding allows you even one or two times more. 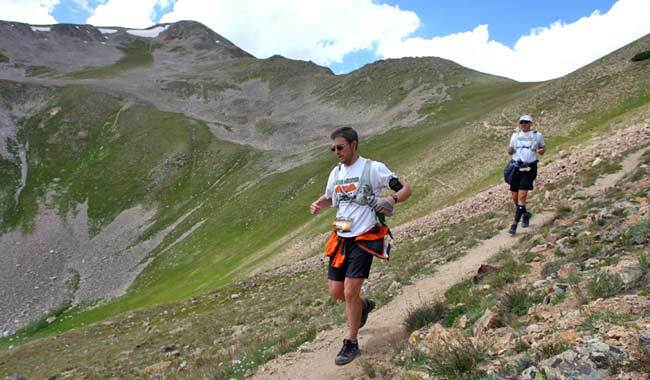 Downhill running gives you diversity, be that in the sense of fitness training as well as your leisure time. The meditative aspect of it, albeit not that apparent, is however there, and the bond you from with the nature allows enjoyment like nothing of the like, especially for nature junkies. And as with all other outdoor sports, it enhances your lifestyle by allowing you to enjoy more fulfilling spare hours and more dynamic leisure time. The physical aspect of it is apparent, as well as the chance to drift away from the clutter of the city and all the worries altogether. Running downhill is a thing you got to try in order to appreciate it. And for the most part, once you try it, it gets addictive. Enjoy your downhill run. Image credit: By Krumdrick and niel jarina.